Episode 13: Who Was That Masked Man? On January 29, 1979, a mysterious masked man appeared in the main event in Memphis at the Mid-South Coliseum—nothing new there. What makes the evening in question so intriguing is that no one can agree on the hooded wrestler’s identity—including—including the colleagues he worked with that night, the boys appearing underneath, and promoter Jerry Jarrett. 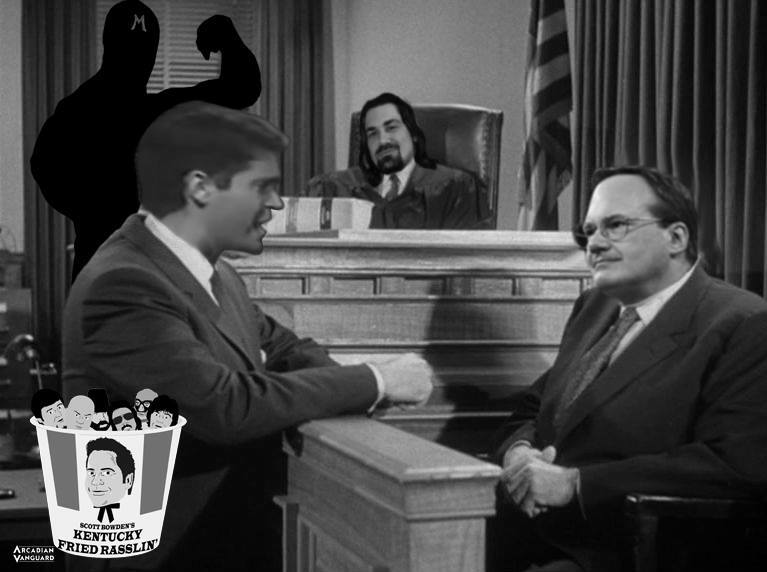 On Episode 13 of Kentucky Fried Rasslin’, host Scott Bowden examines the evidence, puts Jim Cornette on the stand, and calls a couple of surprise witnesses to unmask the truth. Was it truly the international wrestling superstar Mil Mascaras appearing as a heel alongside Austin Idol to do battle with Memphis legends Jackie Fargo and Jerry Lawler? Also on this episode, Bowden kicks off a new fan segment, Stinkin’ Rednecks, with the resident artist of the Arcadian Vanguard Podcast Network and longtime Louisville mark, Travis Heckel. Together, they discusses Heckel’s memories of Tuesday nights at the Garden and the amazing array of cool Memphis merch now available at the new KFR store at kentuckyfriedrasslin.bigcartel.com.